Express the problem question or statement. Identify the unit of the final answer. You find Algebra word problems in the form of a question or statement. Question How many saplings Brown needs to plant? How many televisions Brenda needs to sell to earn $20000? Statement Find the number of saplings Brown has to plant. Solve for the number of televisions Brenda has to sell to earn $20000. After understanding the purpose of the word problem, try to find out in what unit the answer will be like miles, ounces, pesos, number of trees or number of televisions. Christiana is making brownies to serve at the family picnic. If the recipe calls for 21/2 cups of cocoa to serve 4 people, how many cups will she need for 60 people who attend the picnic? Identify the problem: how many cups Christiana needs if 60 people attend the picnic? I need more information What information you have is not adequate and you need more information. The area of the room is 84 square feet. I need to find x to find the length and breadth of the room. The Damsels Theater expects 275 patrons every weekend per new movie. How many new movies they will show if they expect 2200 patrons this week end? Verify whether the plan is sensible. Check whether you have not missed anything or did not approach the problem in the wrong manner. Ben and Jack run a combined distance of 28 miles. Ben runs three times as many miles as Jack. How many miles does Jack run? B+J=28 where B represents the number of miles run by Ben and J represents the miles run by Jack. B=3*J because Ben runs three times as many miles as Jack. John is driving from his house to his company. On Monday morning John drives 6 miles north on Peter’s road. Then he drives 8 miles east on Willie’s Road to reach his company. On Tuesday morning, John avoids Peter’s and Willie’s Roads. What is the difference between the number of miles John drives on Monday and Tuesday mornings? No. The answer is the direct distance between John’s company and house. It is not the answer for the question what is the difference between the number of miles John drives on Monday and Tues day mornings? 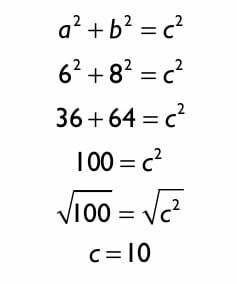 The answer is correct as per arithmetic and it makes sense. Doing Algebra word problems through step by step approach is logical easy and fun.